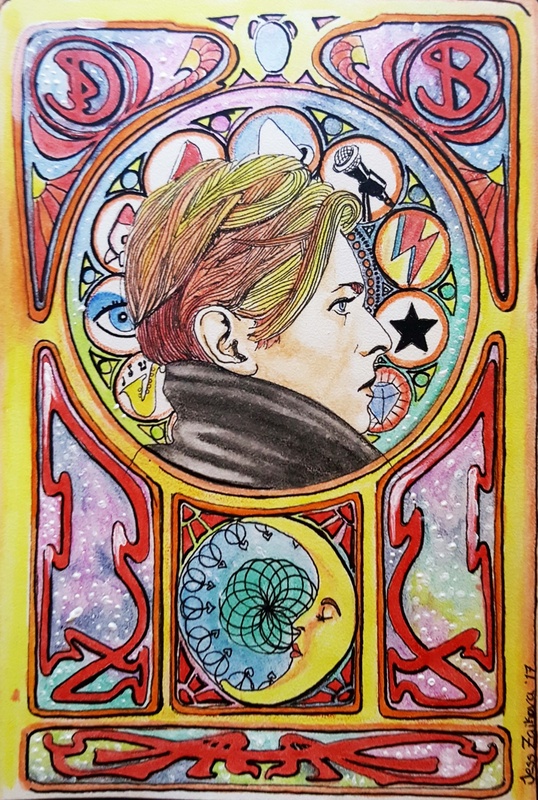 I've loved David Bowie since the beginning of time, it seems. He's always been some of my best inspiration for colourful and expressive drawings. I think I may get this tattooed on my flesh someday.Done in Derwent Inktense.